Mechanical engineer Jim Heilman returns to The Engineering Commons to cover questions engineers should ask before relocating to advance their careers. Adam moved for his current job, but had to abandon the high-speed internet connection he enjoyed at his previous residence. Our guest for this episode is Jim Heilman, a mechanical engineer who spent two decades in industry before becoming a plastics industry recruiter for Discovery Personnel. Although many relocations take place for the sake of career advancement, Jim notes an increasing trend toward changing residences to be closer to family members. With increasing pressure on businesses to deliver profits, and with individuals needing to cover medical, educational, and household expenses, everyone is taking a closer look at the details in relocation packages. While some employers will increase their salary offer to induce a reluctant candidate to relocate, many employers are loath to “buy” an employee’s loyalty. No matter how attractive a job offer might seem, it’s important to gather familial consensus before agreeing to a cross-country move. While more senior engineers may be offered substantial relocation packages, younger engineers are more likely to be offered smaller, one-time cash payments to cover relocation expenses. 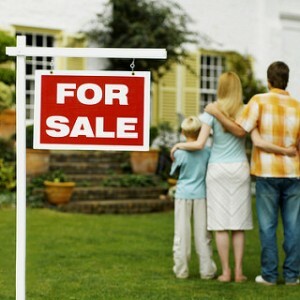 Very few employers are willing to buy homes to help with relocation, even though this was once a common practice. During the height of the Great Recession, Jim says candidates “dug their heels in” and absolutely refused to relocate. Many employers require relocated employees to pay back a pro-rated portion of their company-paid moving expenses if they don’t remain with the firm for at least a year (or two). Whereas companies at one time were quite rigid in what they would offer for relocation, most firms are now open to negotiating relocation terms. Since housing is the largest expense for most families, one should investigate housing costs before getting too deep into negotiating a job move. Our guest notes that most employers are not keen on employees who fly or drive “home” to a different residence on the weekends. Engineers who repeatedly change jobs every year or two may eventually find it difficult to find employment, regardless of their skill level. It’s not unusual, says Jim, for an engineer to be fired when their employer discovers they are looking for a new job. Brian suggests young engineers always accept calls from recruiters, as the recruiter may be able to help secure new employment when it’s needed. Jim once dealt with a candidate who waited until very late in the relocation process to request help moving his snake collection. It’s crucial to talk with one’s family before initiating a job change that will require the family to relocate. Our guest may be reached via the Discovery Personnel website. Thanks to Mark Moz for the photo titled “House, Property, Real Estate For Sale Sign.” Podcast theme music by Paul Stevenson.